Getting published can be hard at times. In South Africa we do have a handful of literary journals – so that’s a good start, and often it’s easier to get your work published there – ie poetry and short stories – than in book length. And while that’s important and vital for so many reasons, publishing in journals and online, you do come to a point where you are ready and want to collect the poetry and stories. We have a small market here for these often marginalised arts – so it can be hard finding a publisher. My thanks in this regard go to Modjaji Books’s Colleen Higgs who started a women’s only press in 2007 and has forged ahead with publishing these marginalised works as well as novels and memoirs and so on. A number of her books have won awards – kudos to her publishing insight. Beyond Touch is a co-publication with Modjaji and with Gary Cummiskey’s Dye Hard Press – another small press that has forged ahead with publishing poetry and so given writers a voice. There’s more cause for suicide than simply loud laughter, of course, but the detail is in the poetry, the lyrics, the underlying beat. We weep and sing along as we hear the song, one touched in orange colours and white cars. She’s done it, she’s finally riding the streets of Paris with the warm wind in her hair…It’s romantic, it’s beautiful, and because of all that it’s also achingly sad. The song touches, haunts, remains popular. Whichever way you read the song – and Faithfull has said she didn’t intend it as a suicide ballad – the echoes of the end are unmistakeably there. And it’s a song that has always appealed with its desperate, quiet beauty. The unbelievableness of it all. Suicide made beautiful. The words are, of course, sacrilegious. For me, there are other hauntings, other obsessions. Plath, Sexton, Jonker…the female “suicide poets”. The name is terrible, cringe-inducing, yet it’s short hand too. Their lives and works will forever be tainted and overshadowed by the fact that each ended her life when, for whatever reasons, each felt she couldn’t take it anymore. Depression, psychosis, mad, unpredictable behaviour and passion dogged all these women. See the movie Sylvia, with Gwyneth Paltrow, and witness Plath’s tempers and rage. Dip into her diaries – the sheer plunge and rise of her floury thoughts and emotions leaves you exhausted, weeping, fleeing. What must it have been like to live with her then? The answer was lost the day on an ice cold February in London that she placed her head inside her gas oven, and, perhaps, coolly closed her eyes, forever. Move on to Sexton, the housewife who suffered a breakdown in the 1950s and told her psychiatrist that she could see nothing useful for herself except prostitution He suggested otherwise, suggesting that she take up her poetry again – she had excelled at it at school – that writing about her mental illness might help others. So she did. The results were phenomenal. Publication and plaudits and prizes followed within years of her pounding out the poems about madness, menstruation at forty, masturbation, and the constant licking at death. She, more than Plath and Jonker, put her taste to die in her poems, over and over. Eventually she gassed herself in her car in her Boston garage. My interest in each was fuelled, not at first by their fiery strong lyrics, but by the way each chose to end her life, and how she lived during that life. I was drawn to the storms and tantrums, the sheer difficulties each had in navigating every day. I was nineteen when I first reached for Sexton and Plath’s biographies, compelled and driven by own impulses, seeking some kind of answer, perhaps out of my own taste for death. Sexton’s inability to go anywhere alone was shocking, but comforting. In contrast I went everywhere alone, I had no friends to accompany me, but her difficulties were echoed in my own. When I needed to buy a new battery for my wristwatch I could not do it. I walked up the jewellery shop, hesitated at the door and walked away. Even buying painkillers to dull my own menstrual pain was an ordeal, one accomplished by not looking the salespeople in the eye. I tried as often as possible to get my mother to buy the pills, but there were times when it could not be avoided, and I remembered Sexton’s own monstrous difficulties. Heart pounding, all my courage tingling, I’d enter a pharmacy. A taste for Death. Italicise if you’re going to write a novel as PD James and Peter O’Donnell have done, but in the hands of would-be suicides the words become real, bloody, indeed something to taste. It comes up over and over. Each of the poets hungers for it, hungers for the release it will bring, tastes it over and over in various ways, flirts with it in poems, in conversations with others. In life it follows them, much as in death, it haunts their poetry and the way we read their poems. Alvarez walks out of her life that evening on the way to his Christmas Eve party. It’s the last time he sees her alive. There’s no going back, no reaching in to help, and in the years after, he must have wondered often if he could have reached out a hand, helped, pulled the drowning person closer to shore. But is there any way through the madness, the desperate need to self-destruct, any way of showing the would-be suicide that indeed, there’s light and hope at the end of the tunnel? Each poets’ death seems to suggest otherwise. a terrible taste for it, like salt. Sylvia’s beaten her to it, Sylvia whose poems ‘Lady Lazarus’ and ‘Edge’ speak chillingly to the attempts and the future success at ending the pain of this present. white, clean, clinical. It has nothing to say. As my life slowly pulls together, not apart, I will find my own taste fading. But like something once glimpsed, it’s hardly every forgotten. It lurks there, it’s a promise, something you can always go back to. As I crawl through my twenties, trying to see if I will make a success of them, it, my life, I offer myself the magical number of thirty. If I haven’t done this at thirty, if I can’t do what I’ve always wanted, need to do, well, there’s thirty. You can go ahead and do it at thirty. Jonker, the powerful swimmer, has already presaged her death in an early collection published in 1956. In ‘Escape’: “My body lies washed up in grass and wrack/wherever memory should call us back.” Her short life is characterised by promise and breakdowns, she wins the Afrikaans Press-Booksellers prize for her volume Rook en Oker, and uses the money to take her first overseas trip, with Brink meeting her later on. I’m twenty-five and the man I do not love, an Afrikaner, gives me a copy of Ingrid Jonker’s Selected Poems. Jonker’s name is not unfamiliar. Not only did Nelson Mandela catapult the poet into fame with his selection of her poem to be read at his inauguration a few years ago, the moving, ‘The child who was shot dead by soldiers at Nyanga’ but I remember reading Jonker’s lines at high school in Afrikaans class. Through badly done translations in class of Afrikaans poetry I learned to read and enjoy poetry. The ironies are never lost on me – I refused to learn the language of apartheid as we saw it then, but its beauties came to me in ways that changed my own writing. So, I reread Jonker with the man whom I don’t love by my side. Many years later I open the book with its dusty pink cover and the Jonker side portrait. Memory dribbles out in the inscription he wrote then. I’ve watched the documentary Ingrid Jonker, her Lives and Times, and seen her daughter Simone as a grown up women talking about her own memories of the mother who cut her life short. It’s all so unbelievably sad and brings home the wreck and the pain that a suicide leaves in the lives of those who mourn the person. In the case of well-known successful artists the pain seems greater and magnified, they are mourned by many, and the mourning begins freshly with each new reader who discovers the work as the decades go on. Arja Salafranca’s two poetry collections are A Life Stripped of Illusions and The Fire in which we burn. Her debut collection of short stories The Thin Line was published by Modjaji Books 2010. 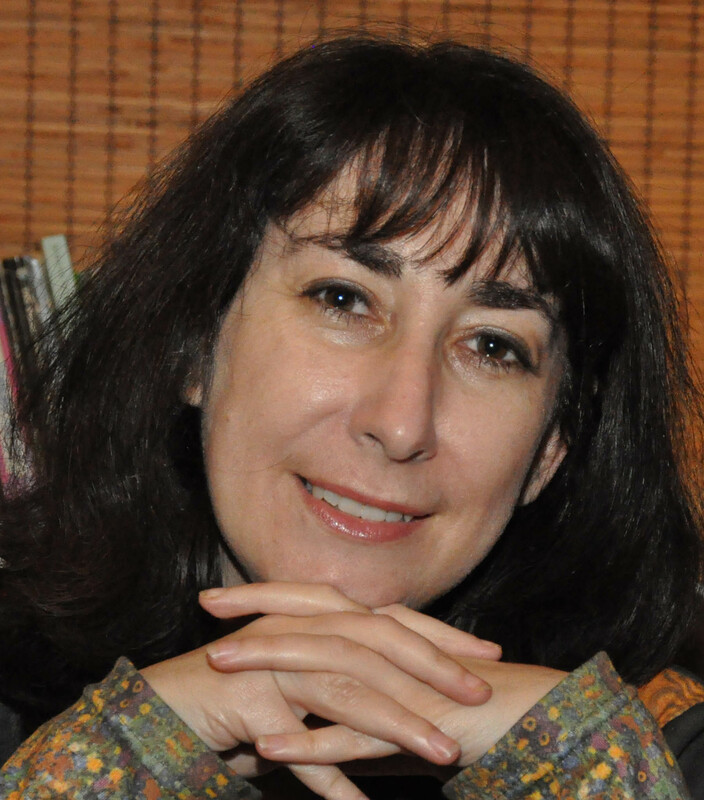 She has edited two anthologies, Glass Jars Among Trees (with the poet Alan Finlay), 2003 and The Edge of Things, a selection of South African short fiction (Dye Hard Press, 2011). She is the lifestyle and arts editor at The Sunday Independent in Johannesburg. Arja Salafranca’s review of Black Butterflies, the film based on Ingrid Jonker’s life, appears in The Sunday Indepedent this Sunday, October 23 2011. Read it online here.